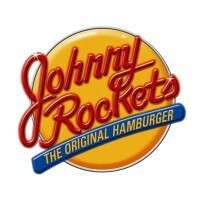 Johnny Rockets is a restaurant franchise which is popular around the world. It is a modern diner that serves burgers, shakes, sandwiches, salads, fries, onion rings, and more. The company was founded on June 6, 1986, at Melrose Avenue, Los Angeles, California. It was once an all-American restaurant until it started infusing other cooking styles from other cultures into their menu. Currently, the business has more than 350 franchises and they are located in 32 countries. There are also around 7,500 workers employed by the company around the globe. The company offers great perks to its employees. For example, it provides them with comprehensive medical/ dental insurance plans, vacation pay, sick pay which is six days per year, and 401 (k) savings plan. People love working at the company because the workplace is energetic and challenging, but fun. Everyone is given a chance to grow professionally and earn. Everybody in the team recognizes their important role in the success of the business. Interested applicants must be at least 16 years of age. Do know that applicants under the age of 18 are given limited jobs in the restaurants. As for educational background, they accept people who have graduated high school. Assistant Manager: The Assistant Manager is tasked with supervising and managing his team members. He reports directly to the General Manager. Also, he is responsible for teaching the rules and procedures of the company to his team. Finally, he must possess organizational and communication skills to deliver excellent service. Cashier: The Cashier is in charge of receiving the payment, counting the change, and putting together to-go orders. The cashier is responsible for all the cash issuance during his shift. He must count all the money to make sure that it is accurate. Apart from this, he must have a good customer service skills to make a lasting impression on clients. Cook: The Cook is tasked to prepare the different menu items of the restaurant. He must follow the recipe according to the guidelines set by the management. The cook must ensure that everything used for the preparation is clean and functional. Finally, he must maintain his working area clean all the time. Fountain/ Dishwasher/ Runner: The Fountain/Dishwasher/ Runner or FDR performs various tasks. He is tasked to make sure that the dishes are cleaned well and efficiently. Finally, he must also be able to serve both the external and internal customers. General Manager: The General Manager is in charge of the overall management of the restaurant. He must be knowledgeable of the operations of the company and demonstrate the standards to his workers. Also, he must plan a course of action to achieve maximum sales and profit. Host/ Hostess: The Host or the Hostess is responsible for making the customers feel welcome in the restaurant. He/ she must greet each client, usher them to their seats, present the menu, and answer their questions related to the products or services of the restaurant. The host or hostess must have good customer service and communication skills. Line Cook: The Line Cook is in charge of assisting in the preparation, cooking, and the presentation of the food items of the restaurant. He must plan the production of the food with the team. He must also adhere to the guidelines set by the company and follow the recipes. Furthermore, he must be willing to work flexible hours. Server: The Server is tasked to serve the food items to the clients. He must be able to ‘wow’ each customer of the restaurant. He must also know how to multi-task and he must have good communication skills as well. Finally, he must be able to endure to stand for long hours and lift heavy weight during his shift. Supervisor: The Supervisor is responsible for coordinating the activities of his team members during their shift in the restaurant. He must have excellent customer service skills to cater all the clients. He must ensure that the premises are clean all the time. Finally, he must make sure that the establishment runs smoothly without any problems. Team Leader: The Team Leader is responsible for assisting the management team. He must ensure that guests are satisfied with the restaurant’s services by extending excellence in hospitality, coaching, delegating tasks, and managing his team members. He must see to it that the service area is clean and it follows the standards of the company. Interested applicants need to put together their resume then submit to the closest restaurant location to them. The company would then review the application and invite the applicant for an interview if they passed the first phase. People can also apply online by checking the restaurant’s official website. This is great for people who might not have the means to personally visit the restaurant just yet. If you wish to submit your application online, you must first sign up and create a profile using your email address. Next, fill in the application form provided completely. In putting together your application form, see to it that you indicate your personal information, educational background, and related work experience. Make your resume as neat and organized as you can. Working at the restaurant s a fun challenge. The workforce is diverse and there’s plenty to learn through experience. For first-timer workers, this is a great place to get started in. The company is always striving to better cater the requests of the clients—making sure that they tap into any advancements in technology for doing so. And with that, it has unveiled a restaurant of the future in Orange County. The burgers and shakes are tastier, plus the menus are iPad powered! Indeed, the restaurant is known for mouth-watering burgers such as the Smoke House, Bacon Cheddar, Route 66, Black Bean Burger, and Rocket Single. Aside from these burgers, they offer shakes, fries, sandwiches, and salads. Finally, the company is visible in various social media platforms such as in Facebook, Twitter, Instagram, Pinterest, Youtube, and LinkedIn. They wish to bring their unique take on food to more people and relieve them from their stresses by serving palatable all-American dishes! 1 How old do you have to be to work at Johnny Rockets?